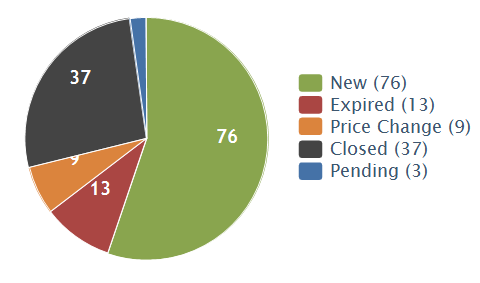 The chart shows the market activity in Hinsdale in the last 30 days based on information from the MRED Multiple Listing Service. There are currently 274 active listings of detached single family homes as of 07/06/2010. In the last 30 days there have been 37 closed sales. At the current rate of absorption there are 7.41 months of unsold single family inventory in Hinsdale. This level of inventory is considered an over supply.